The Riigikogu passed the Resolution on the formation of the Study Committee to Solve the Demographic Crisis. Pursuant to the Resolution of the Riigikogu “Formation of the Riigikogu Study Committee to Solve the Demographic Crisis” (367 OE), submitted by the Estonian Centre Party Faction, the Social Democratic Party Faction and the Pro Patria and Res Publica Union Faction, the task of the Study Committee will be to examine the current state of the fundamentals of national policies, sectoral development plans, development plans for areas of government and programmes relating to population, and to make proposals to improve the situation. The Committee will also have to study the population policies and experiences of other countries and, on the basis of that, to make proposals to amend our policies. The initiators of the Resolutions note in the explanatory memorandum that after the restoration of independence, the population of Estonia has constantly decreased and the purpose of the Committee is to find the problems and look for solutions to improve the situation. According to the initiators, the main problems are low birth rate and large emigration. The Committee has six members, one member from each faction of the Riigikogu. Yoko Alender, Monika Haukanõmm, Siret Kotka, Heljo Pikhof, Raivo Põldaru and Helir-Valdor Seeder are members of the Committee. 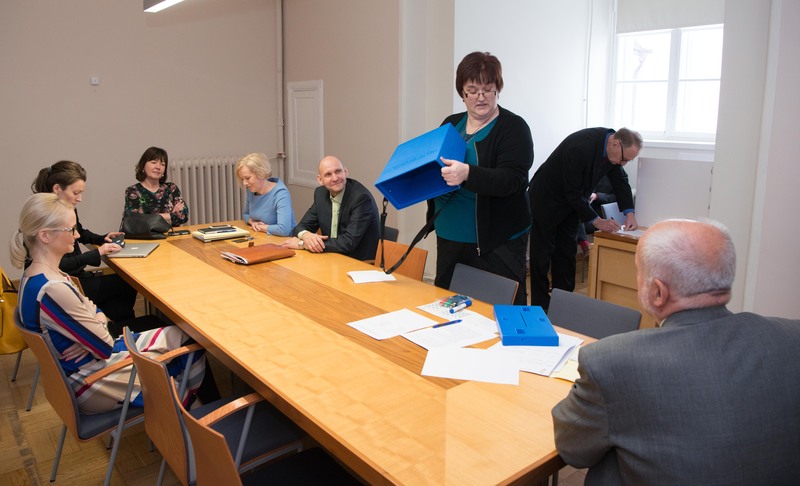 The authority of the Committee lasts until the end of term of the 13th Riigikogu. 62 members of the Riigikogu voted in favour of the Resolution, 13 were against, and there were 6 abstentions.